There’s certain flavours or foods that seem to create a divide among people. Liquorice is one of those things, you either love it or you hate it. I happen to love it. If you belong to the opposite camp, you might want to skip past this post. 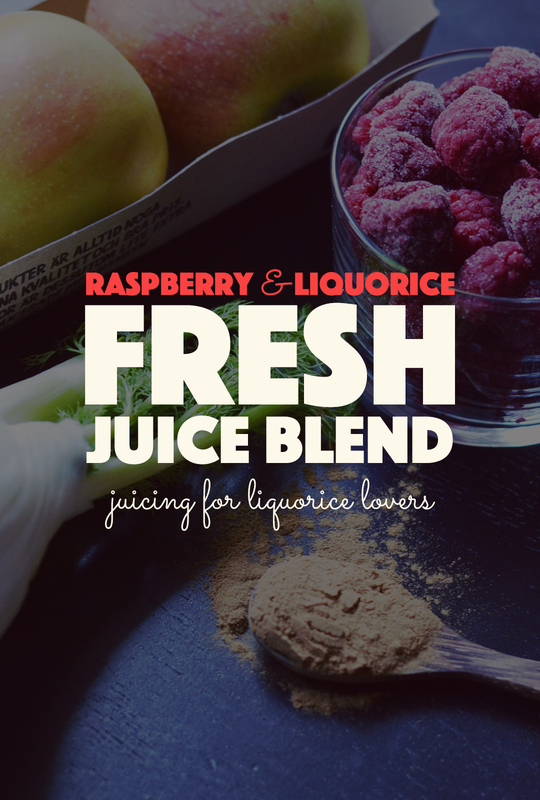 A fantastic, and pretty common, flavour combination is liquorice and raspberry, which is what I blended together for juice yesterday afternoon. This juice is actually inspired by Stockholm based juice bar Juiceverket, and my juice of choice there; “Eggs & Bacon”. It’s pretty much exactly what I have re-created here: a mix of apples, fennel, raspberry, and liquorice (and, thankfully, nothing to do with either eggs nor bacon). Rinse and core the apples. Rinse the fennel and chop off the stems and any dry bits, then juice the apples and fennel in a juicer. 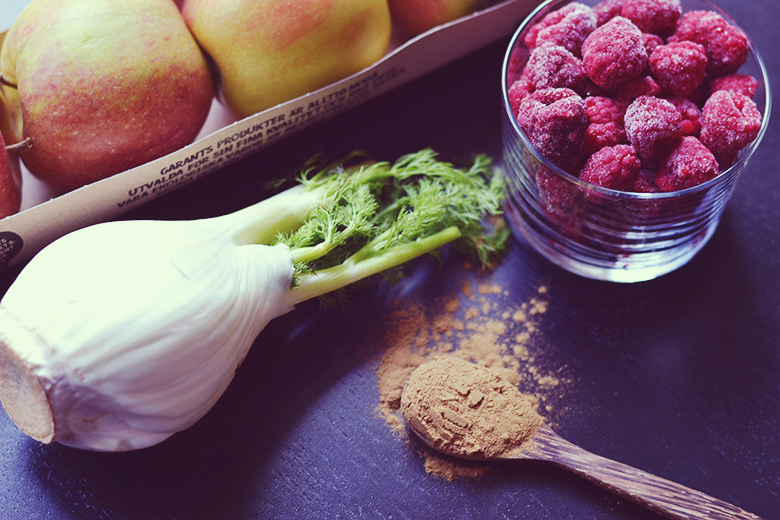 Whip out your blender (I swear by my Blendtec) and add the juice from the apples and fennel, the liquorice powder, raspberries, and sweetener. 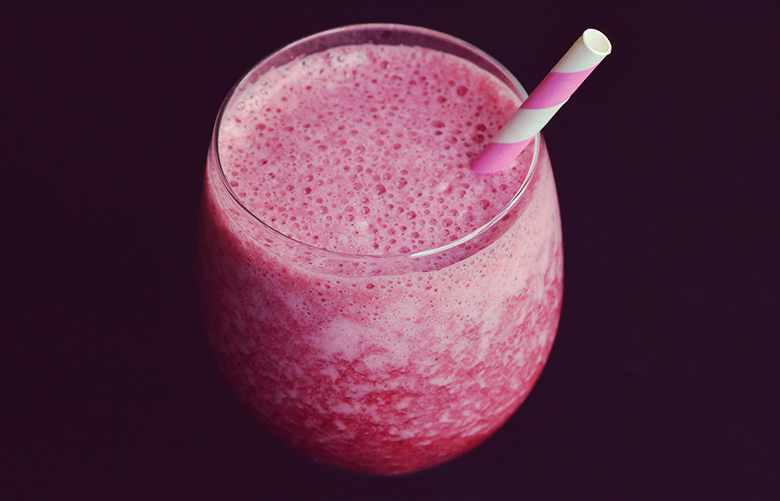 Blend for 20-30 seconds on high, pour into a glass, pop a straw in it, and enjoy!